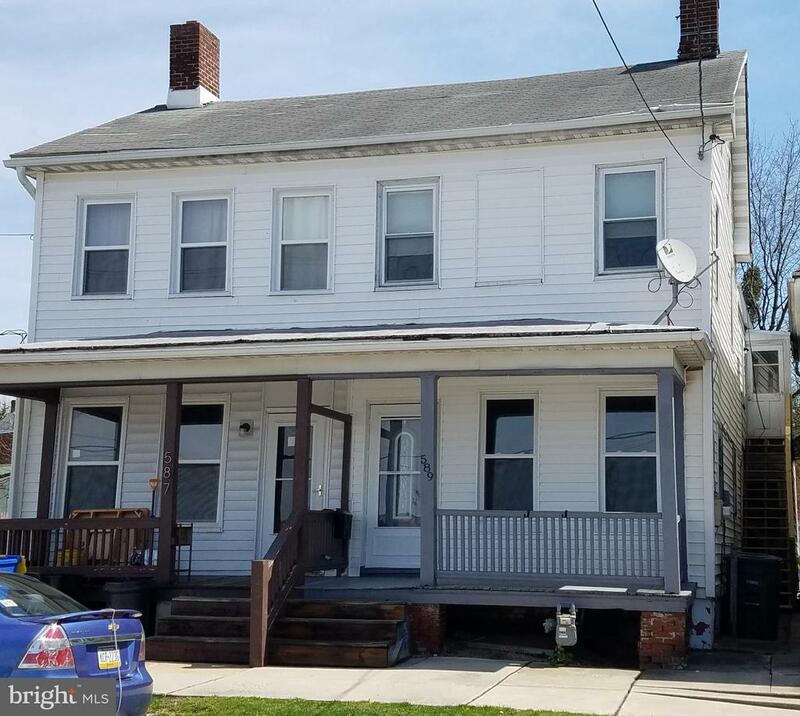 Affordable 4 bed, 2 bath semi-detached home with many recent updates in popular Suburban schools!Covered front porch leads to large living room and dining room with new carpet and fresh paint! Kitchen with breakfast bar, double bowl stainless steel sink and all appliances is located between the brand new 1st floor full bath with new LVP flooring, new shower, vanity, sink, mirror and wainscotting with chair rail molding and the first floor mud room which leads to the fenced rear yard and the detached 1 car garage. The second floor boasts 3 or 4 bedrooms as one room is a walk through. There is also a separate rear entrance to the second floor that can be utilized or used as a walk-in-closet for the rear bedroom. All bedrooms have wall to wall carpet and closets. The second floor also has an additional full bath. Recent updates include fresh paint, new carpet, new trim, new bath and freshly painted garage. Youll be hard pressed to find another 4 bedroom 2 bath home with a garage for this price in York Suburban!